The Union of B.C. 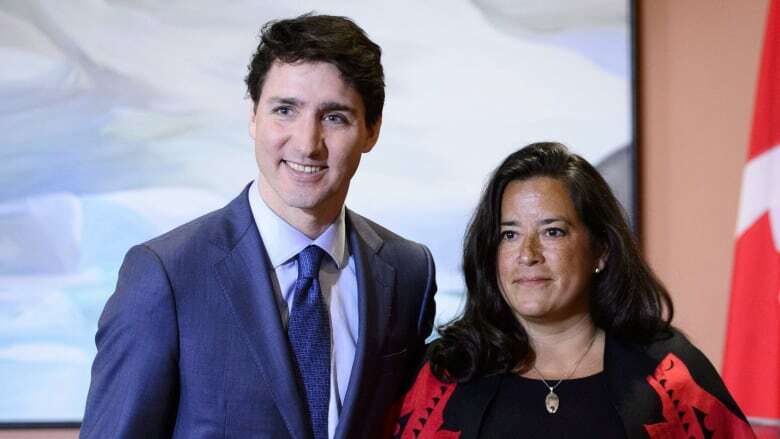 Indian Chiefs is calling on the prime minister to quash what they view as “racist and sexist innuendo” dogging Liberal MP Jody Wilson-Raybould. The former justice minister, who resigned from cabinet this morning, is at the centre of recent claims that the Prime Minister's Office pressured her to help Quebec-based engineering firm SNC-Lavalin avoid criminal prosecution. A source, described as an "insider who didn't want to be identified," told the news agency that Wilson-Raybould, who took over the job as Veterans Affairs minister just under a month ago, has "always sort of been in it for herself," adding that "everything is very Jody-centric." Those comments are "cowardly low blows," said a statement released Tuesday by the Union of B.C. Indian Chiefs, shortly before Wilson Raybould's resignation went public. "They perpetuate colonial-era, sexist stereotypes that Indigenous women cannot be powerful, forthright and steadfast in positions of power, but rather confrontational, meddling and egotistic," said the news release from the group, which has been critical of the Liberal government in the past on pipeline issues. Liberal MP Celina Caesar-Chavannes also jumped to her caucus colleague's defence online, tweeting Sunday that Wilson-Raybould is "fierce, smart and unapologetic." "When women speak up and out, they are always going to be labelled. Go ahead. Label away. We are not going anywhere," she wrote. The B.C. chiefs' group — headed by Grand Chief Stewart Phillip — urged Prime Minister Justin Trudeau "to take responsibility for your behaviour and that of your government," and called into question his commitment to the Crown-Indigenous relationship. In her resignation letter, Wilson-Raybould said she plans to stay on as MP for Vancouver-Granville and has given no sign yet that she plans to leave the Liberal caucus. On Monday, federal Ethics Commissioner Mario Dion launched an investigation into allegations the PMO wanted Wilson-Raybould to direct federal prosecutors to make a "deferred prosecution agreement" (DPA) — a deal akin to a plea bargain — to avoid taking SNC-Lavalin to trial on bribery and fraud charges.